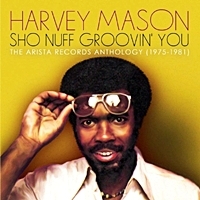 Drummer Harvey Mason recorded 5 albums for Arista between 1975 and 1981. This 33 track compilation features the best work form them and covers Soul and Jazz Funk. On the Soul side check ‘Groovin You’, ‘Til You Take My Love’, ‘How Does It Feel’ and ‘Pack Up Your Bags’. On the jazzier side ‘Marching In The Street’, ‘Wild Rice’, and ‘The Race’, ‘Modaji’ and a brilliant version of ‘What’s Going On’ feat George Benson. His best work.